1.0 SE ECOFLEX 5d 74 BHP 0% Deposit Plans Available even if you Have Poor/Bad Credit or Low Credit Score, APPLY NOW! Offering five-door practicality, stylish exterior looks, a punchy engine and class-leading comfort levels, the Vauxhall Viva is a great choice for anyone who requires a city car with plenty of character. 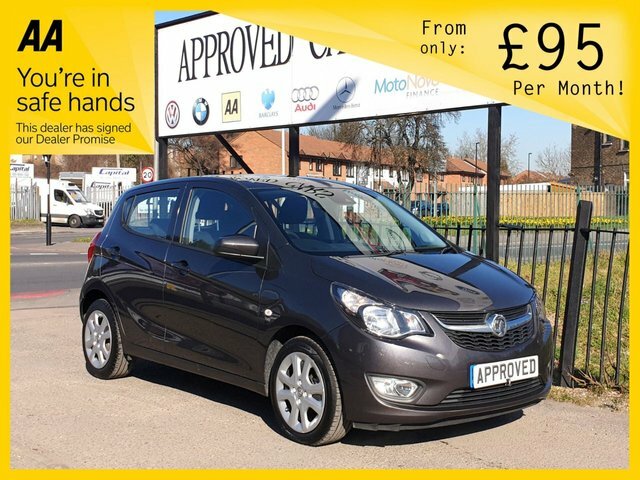 Approved Cars is the best place to start your search for an affordable Vauxhall Viva for sale in Croydon. We stock a great selection of used vehicles, all of which are put through an intensive inspection process prior to arriving on the forecourt, allowing our customers to buy with complete confidence. Get in touch now to find out more, or browse our latest stock here on the website.